Giving your daughter a second family name may seem a natural step to you and your child's other parent, but if you want it to be part of her legal name, you must get formal court approval. The court process is much easier and shorter if you file the petition for name change together. You can opt to include both family names on your daughter's birth certificate if you think of it when she is born. If you decide to add the second family name at a later date, plan on filing a request with the court. The exact paperwork varies depending on where you live, but most states have forms entitled Petition to Change Name (Minor) or something similar. 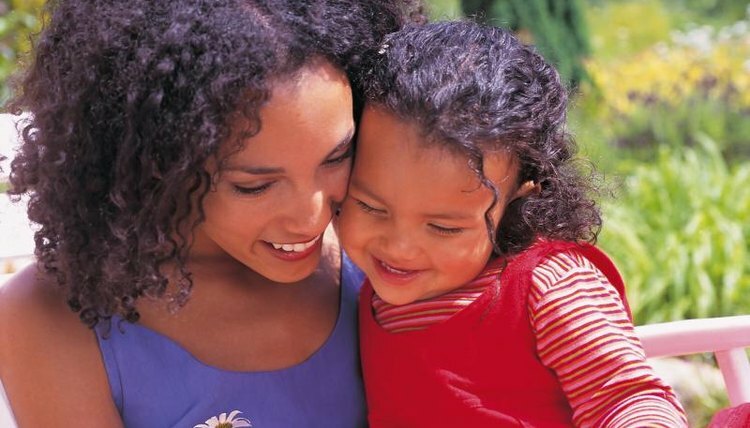 You fill in identifying information about your child, including her current name and proposed new name, as well as information about you and your child's other parent. If both you and your daughter's other parent jointly sign off on the initial request for name change, you do not have to worry about serving -- hand delivering -- notice of the request for the change to that parent. Check with the clerk of your local family court or look at the court's website to determine the forms, how many copies you need and amount of the court fee. Once you file the paperwork, the court sets a date and time for a hearing on your name change request. The requirement that name change petitions be published in a newspaper of general circulation is intended to prevent fraud, for example, someone changing his name to avoid debts. But even name change applications for minors must fulfill that requirement in many jurisdictions. Typically, the paper publishes the part of the name change application that includes the old name of the individual and the proposed new name. In California, for example, you publish an Order to Show Cause. If nobody contacts the court to oppose the name change, the court sometimes waives the hearing and simply grants the petition. If that is not the case, you appear at the set time and place and answer any questions the court has for you. If the child's other parent does not agree to sign the petition with you, you must arrange to have an adult other than you personally hand him a copy of the court documents in order to fulfill service of process. The person handing him the papers then signs an affidavit for the court stating the time and place of service. Your spouse, or your child's other parent, has the right to oppose the petition by filing papers with the court and by appearing at the hearing to argue against the name change. If the name change petition is opposed, the court hears all the evidence and then makes a decision based on what would be in the best interests of the child. If the judge approves your daughter's name change, he will issue a decree, or order, which you will need to change her name on important documents such as school records, passports and birth certificates. Spengler, Teo. "Can I Add My Last Name to My Daughter's Name?" , https://legalbeagle.com/12340309-can-add-last-name-daughters-name.html. Accessed 21 April 2019.